From personal butlers to secluded beaches, a Caribbean villa is truly a next-level family vacation. We’ve selected the most luxurious Caribbean villa resorts for families, combing through the most exclusive accommodations and amenities. 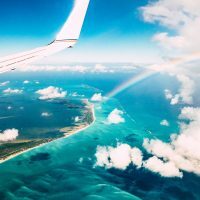 Read on to dream of your next vacation, where the only sounds (besides your kiddos) might be the swaying palm trees and rolling ocean waves. 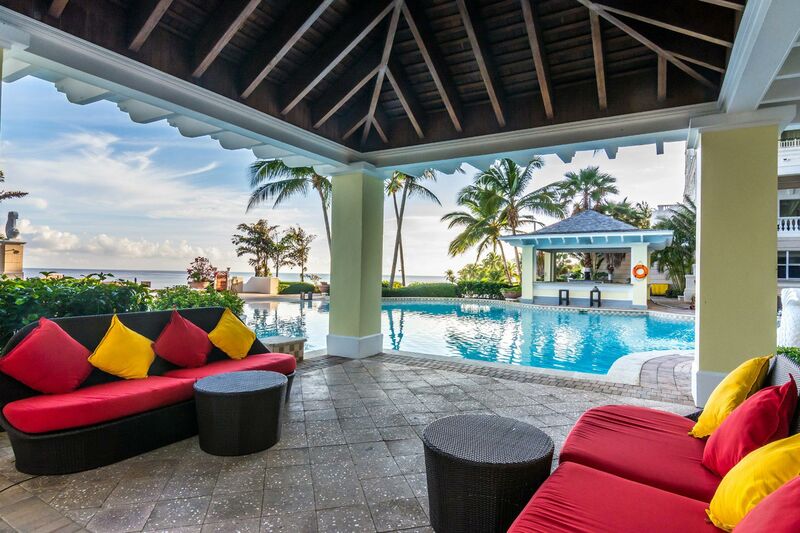 These are the best luxury Caribbean villa resorts for families. 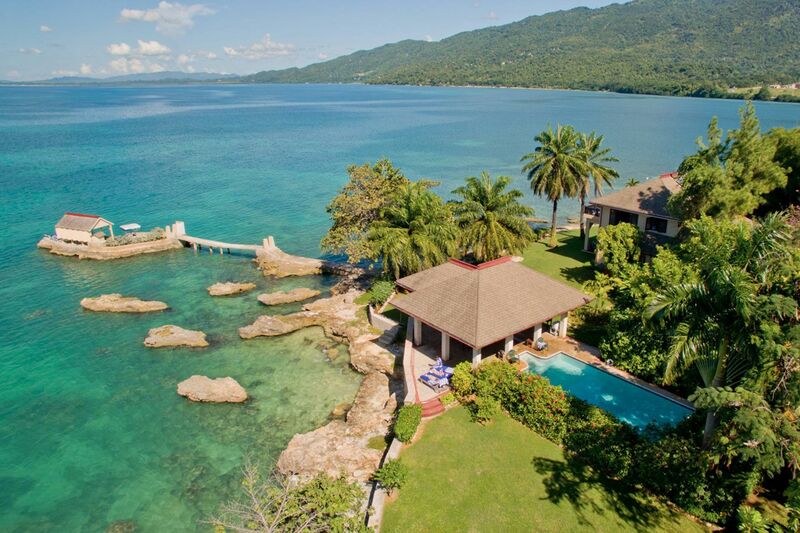 The six fully-staffed villas at Bluefields Bay Villas in Jamaica range from two to six bedrooms and are located on the waterfront or in tropical gardens with private pools. A manager meets with you each morning to plan your activities and ensure your vacation is extra special, and each evening, you’ll enjoy a chef-prepared meal made from locally-caught seafood and local organic produce, served by a personal butler in your dining room. The best part? You’ll go home with suitcases of clean clothing thanks to the complimentary laundry services. The services of a nanny for nine hours per day for two kids are included with your stay. The villas at Jumby Bay Island range from 3,000 to 4,000 square feet and up and feature vaulted ceilings and hand-chiseled stone floors. They are gated off from the rest of the resort, and each one includes a private pool overlooking the Caribbean. Located on a private island off of Antigua and only accessible by boat, the name Jumby comes from the Antiguan word “jumbee,” for “playful spirit.” Camp Jumby, for ages 3 to 11, hosts programs on cooking, exploring wildlife and creative movement. Kids can also use the resort’s complimentary snorkeling, sailing and kayaking equipment. Older kids can explore the rainforest by zipline. There’s also a Kiddies Spa Treatment Menu at the open-air spa designed just for preteens and teens. Kids can also participate in the Hawksbill Turtle Program, working with conservationists to experience turtle nesting on Pasture Bay Beach and help release hatchlings after the summer nesting season. 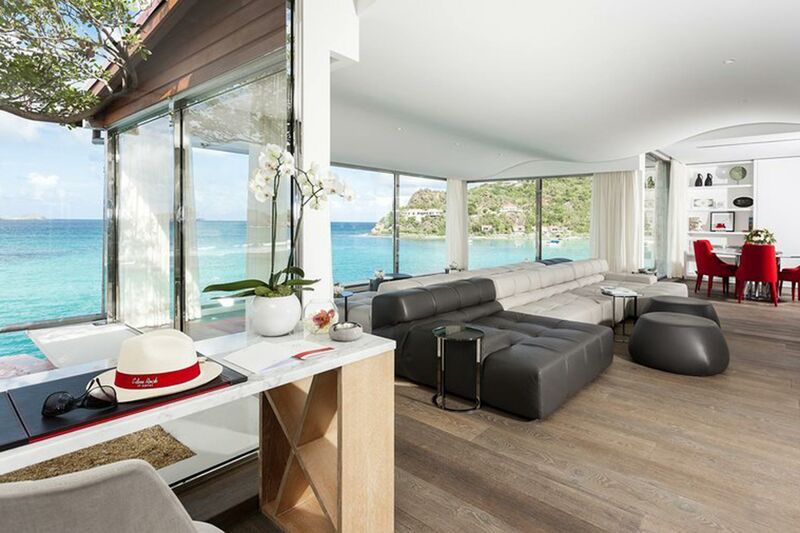 Eden Rock is home to more than 100 luxury Caribbean villa accommodations in St. Barths and has been a celebrity vacation destination since the 1950s. Choose from one- to eight-bedroom accommodations, each styled individually and situated on stunning rocky cliffs overlooking beautiful beaches. Each morning, a continental breakfast will be delivered to your villa, and a dedicated concierge can make your reservations for dinner, boat trips or massages. Though there isn’t a dedicated kids’ club, the resort prides itself on offering personalized service and provides kids with games and other activities, including bodyboarding and sand toys. 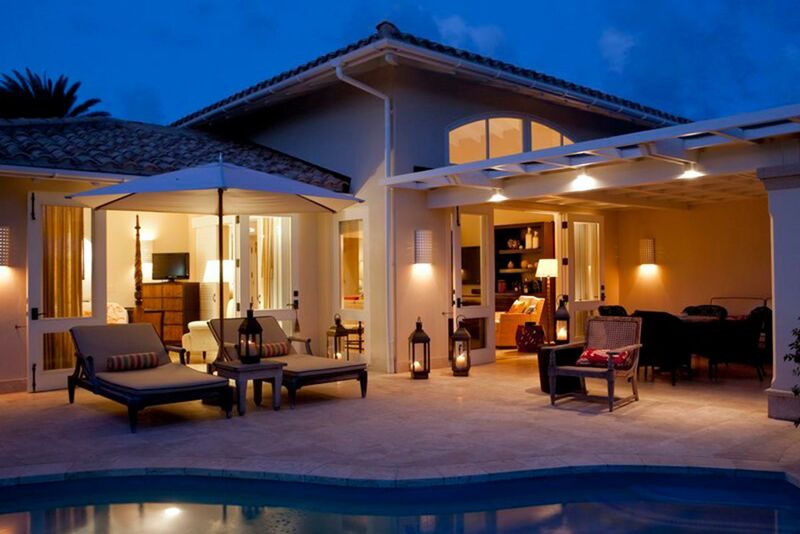 The European luxury villas at The Somerset on Grace Bay range in size from 1,400 to 5,300 square feet. You can arrange for special activities like a private dinner alongside a beach bonfire (with S’mores as your dessert) or a cooking class in your villa. This family-friendly resort is known for its Caicos Kids Club, a program for 5- to 12-year-olds that entertains with beach games, treasure hunts, sandcastle building competitions, bonfires and crafts. 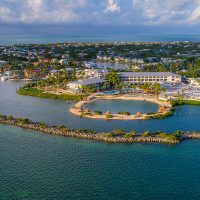 The resort provides complimentary snorkeling equipment and non-motorized sports such as kayaks and standup paddleboards. Escape to the West Indies at this five-star resort, which offers more than 50 luxury Caribbean villas, aside from its regular rooms and suites. 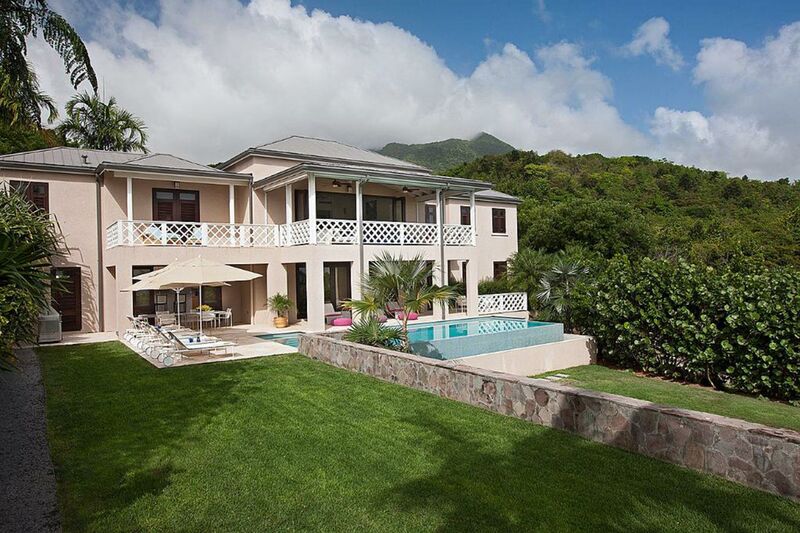 The one- to seven-bedroom villas measure 648 to 3,961 square feet and overlook the Nevis Peak volcano or the Caribbean Sea. The Four Seasons Resort Nevis features a kids’ program called Kids for All Seasons, a complimentary program that offers sports, recreation and crafts for children ages 3 to 9 years old. Camp Nevis, with a full daily schedule of activities, is offered in the summertime. Babysitting services can be arranged, as well. Kids can also participate in the Sea Turtle Conservancy and Nevis Turtle Group programs in late summer and fall to help local conservation teams locate, identify and track sea turtles to ensure their protection. There’s even a program that allows guests to track the turtles’ travels as they migrate. Opened in 2018, this all inclusive resort features 11 luxury Caribbean villas, in addition to its suites that are staffed with butlers. 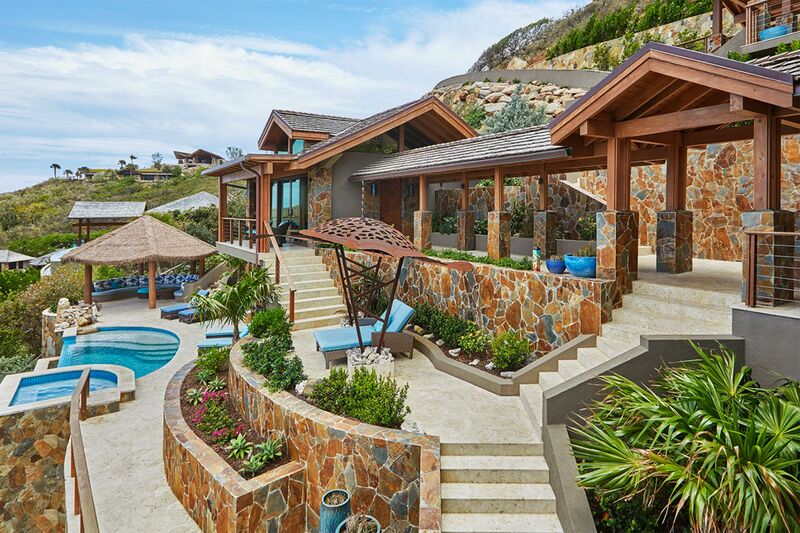 The villas are 2,646 square feet and offer three bedrooms and 3.5 bathrooms, plus a full kitchen and a private outdoor area with space to grill and entertain; some include a plunge pool and outdoor shower. There are 12 dining options included with your stay, as well as room service and complimentary alcoholic and nonalcoholic beverages. There’s also a full-service spa, which includes a Himalayan Salt Therapy Lounge and a Quartz Therapy Ritual Room onsite. 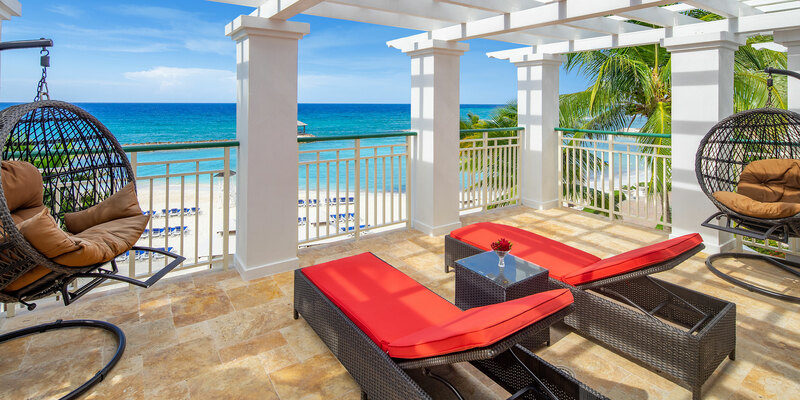 Jewel Grande Montego Bay Resort & Spa offers both a kids’ club and a lounge for teens with activities tailored to their age groups. 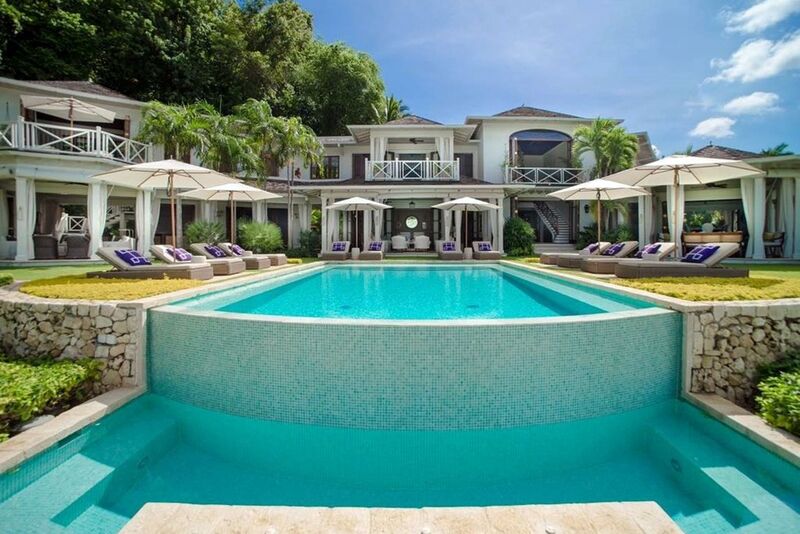 Port Ferdinand offers one- to three-bedroom villas (2,000 to 4,145 square feet) on the northwest coast of Barbados, some with private infinity pools. The resort includes a kids’ club, including a Buccaneer Hideout with a variety of swings, rock walls, climbing ropes, trapeze swings and even a 60-foot waterfall. There’s an indoor kids’ club, as well, for ages 2 to 4 and 4 to 12, where kids can watch 3D movies and play games. Port Ferdinand also offers arts and crafts, fitness programs for kids, and sea turtle education programs. A concierge can arrange for a babysitter throughout your vacation, and can even set you up with a family photographer to document your special trip. There are 27 private villas (in addition to villa suites) at Round Hill Hotel and Villas, located on 110 acres west of Montego Bay. Most feature private pools and dedicated staff. The Pineapple Kids’ Club and 7-Up Club, both upgraded in 2018, offer age-appropriate activities such as reggae lessons, talent shows, movies, arts and crafts and creative play under the supervision of trained staff. Families can also take a guided glass-bottom boat tour, and go snorkeling, scuba diving or water skiing. There are five tennis courts, complimentary transportation to the golf course, tours with the onsite gardener, and a full-service spa. 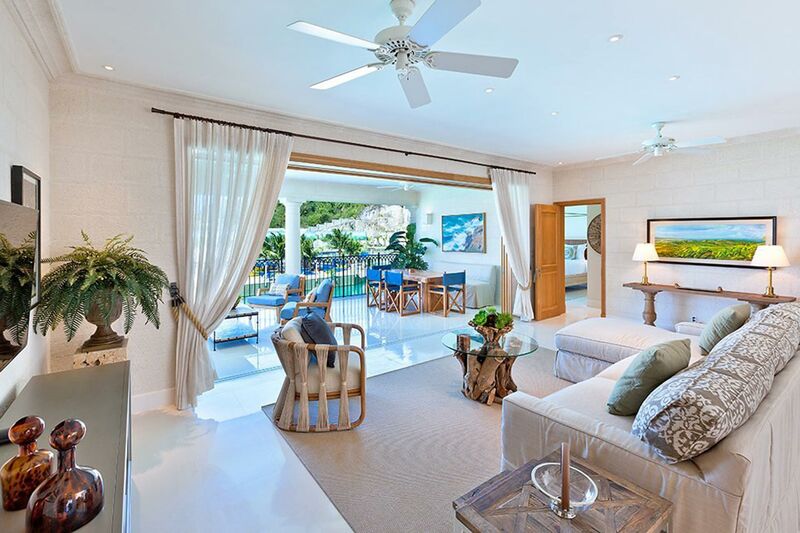 Where some resorts are vast and offer hundreds of rooms, this boutique property offers just 19 luxury rooms and suites, in addition to a four-bedroom villa, giving you an exclusive experience on Anguilla’s island of Meads Bay. The two-story private villa faces the ocean and features beautiful views, a private pool and outdoor shower and a gourmet kitchen (some guests prefer to hire a private chef for their stay). 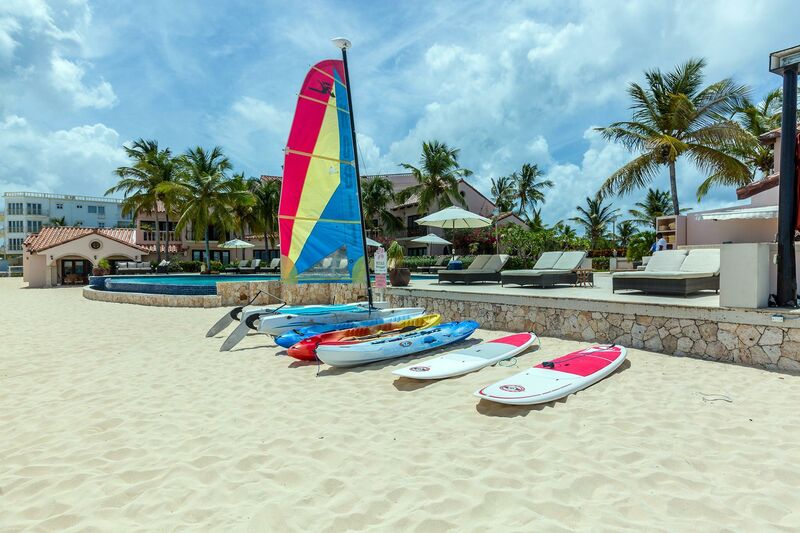 The resort offers standup paddleboards, snorkeling equipment, kayaks, beach toys and small catamarans for guest use. Families can also tube, wakeboard or water ski behind Frangipani‘s 17-foot boat. Guests frequently like to go island hopping or take a short trip over to Sandy Island for snorkeling. Babysitting services are available. 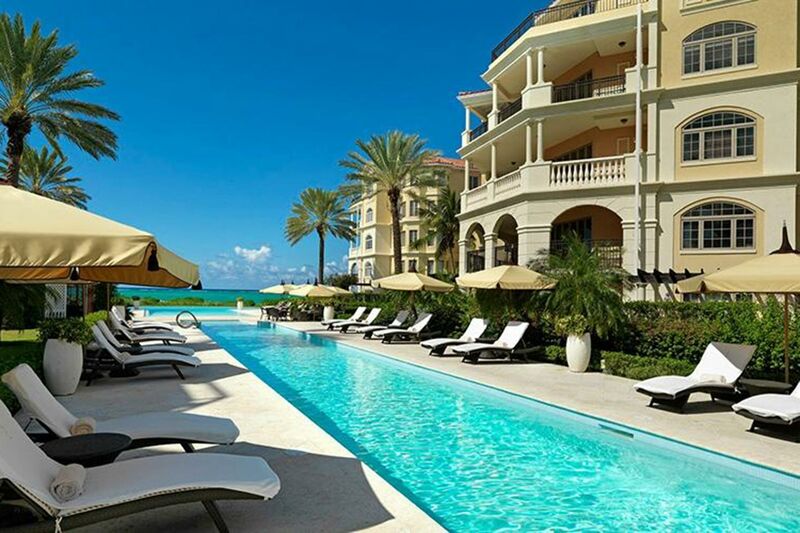 Beaches Turks and Caicos offers a wide array of accommodations. But for the most exclusive, choose a three-story, four-bedroom beachfront residence, which is staffed with a private butler and includes your own private pool. The resort offers age-appropriate programming, including sailing, snorkeling, sports, and reggae jam sessions. There’s a Pirate Island aqua playground with nine slides, a lazy river and a surf simulator. Younger kids will enjoy the daily performances from “Sesame Street” characters and a weekly Sesame Street Live Parade. 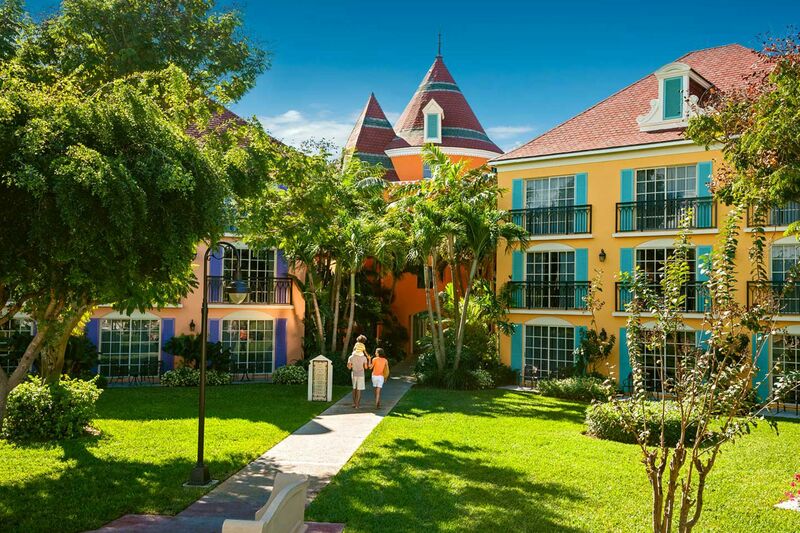 For children with autism, the resort has met the International Board of Credentialing and Continuing Education Standards and earned an Autism Certification to provide special service and custom dining options to children with special needs, including Amazing Art with Julia, a character from “Sesame Street” with autism. 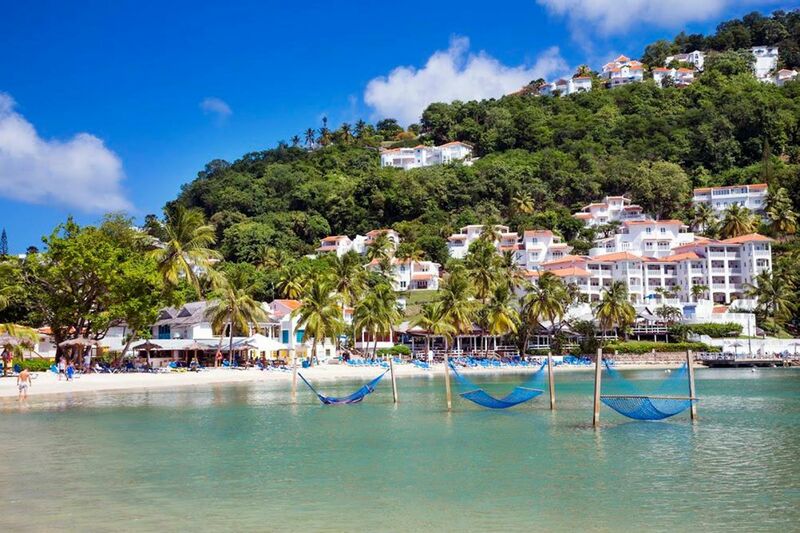 The one- to five-bedroom luxury Caribbean villas at St. Lucia’s Windjammer Landing are ideal for families, especially when combined with the plentiful amenities at this resort. The villas include a full kitchen, living and dining room, and many offer a private plunge pool, as well. An onsite kids’ club, the Jacquot Fun Club, offers a daily schedule of activities for children 4 to 12, with a separate teen club for kids 13 to 17. The onsite spa offers a “Petite Spa Experience” for children as young as 8, and the Dive Center also caters to youngsters. Families can take excursions to nearby rainforests for zipline and gondola tours, dolphin excursions, horseback riding and more. Of course, the resort also offers several restaurants, pools and bars. When you can only get to an island by boat or helicopter, you know you’ve reached a secluded vacation getaway. That describes Oil Nut Bay, a 300-acre property on Virgin Gorda in the British Virgin Islands. The luxury Caribbean villas at this property, situated in a private community with resort amenities, feature infinity pools facing the ocean, with breathtaking views from your bedroom and living room. During your stay, you can also enjoy dining, a full spa, tennis and pickleball. The kids’ club, called The Nut House and Nature Center, emphasizes educational opportunities through a dedicated program coordinator. Kids learn about the plants and animals that inhabit the island, including whales and coral reefs.